Participation is open to all persons interested in the field of fashion from scholars to curators, from media and consultancy professionals to fashion designers and business people. General audience as well as scholars and professionals who submitted an abstract to the call for papers and went through the peer reviewing process successfully are expected to pay a Registration Fee. Conference registration fees are divided into Regular, Student and Soft-Currency Countries fees. 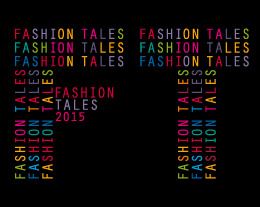 Each student must submit to the e-mail address fashiontales@unicatt.it or via fax to the no. +39.02.7234.3665 a photocopy of her/his valid student card or equivalent to qualify for the discounted rate. Early Bird registration fee is also available. Participation in all scientific sessions and activities. Please note that all fees are in Euro and inclusive of 22% VAT. The 8th of January registration platform will be opened for early bird payment, until the 15th of March. Final deadline for registration and payment is the 25th of May. NOTE: Registration will not be processed or confirmed until payment is received in full. Payment may be made by bank transfer or credit card. Please consider that we cannot accept on-site registration at the conference and that online registration will be unavailable after this time. Cancellation requests must identify the registrant's name, email address, membership level, and amount paid. 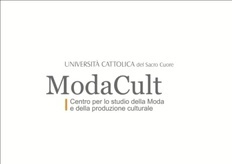 Send cancellation requests to fashiontales@unicatt.it. Total refun will be available since the 25/05/2015. After that deadline, we will refund only the 50% of the total amount until the 10/06/2015. Confirmation of your registration is sent via email. Identification badges will be available for pick-up on-site at the Registration Desk. Registration will open soon. From then on, clicking on the red-button below, you'll be able to register for the conference and pay via the secure online form.